Burning Moon's Inside advice: MuchPak Review! The box included twelve different snacks that ranged from salty to sweet. Something I would enjoy seeing in this box is a card with information on what each snack is, several of the snacks are from over seas so they are in their native language and it is hard to tell what they are and what is in them or a way to find out easily what they are. I like the selection of different textured snacks they included in the box I received and I like that they came from different parts of the world.There are enough snacks in this one box for 2-3 people if you are willing to share that is, otherwise one person could eat this over the course of a few days to a week depending on how often you like to snack. 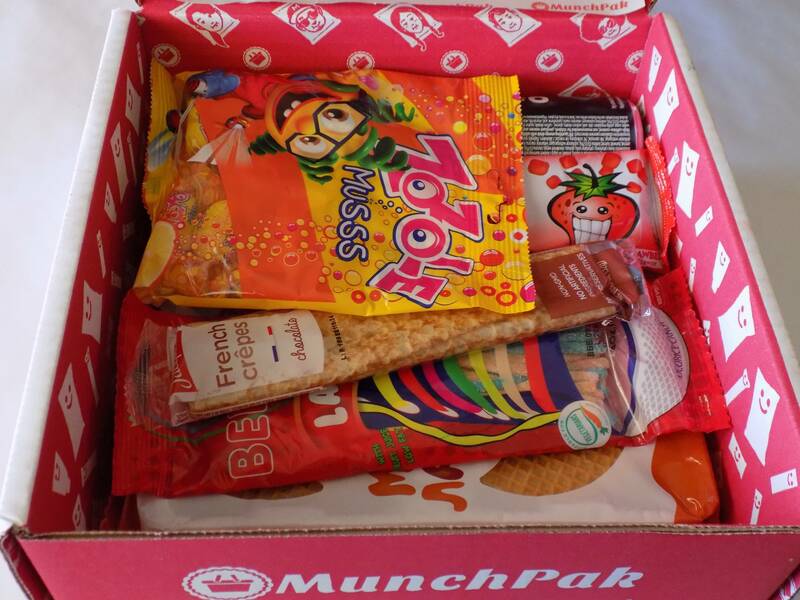 MunchPak has a section where you can customize your box they have fifteen different options to choose from which include Nuts,Salty, Sweet, Candy, Chips, etc to narrow down your likes a little bit. I've tried a few snack boxes in the past but I am happy to say every single product in this box was a new snack to me, I haven't tried or heard of almost all of these snacks. I have not tried all of these yet but what I have tried I have highly enjoyed, I think my favorite were the two wafer treats with hazelnut/chocolate spread and the chocolate filled crepe. This was also the first snack subscription box that I've tried that came with a drink! 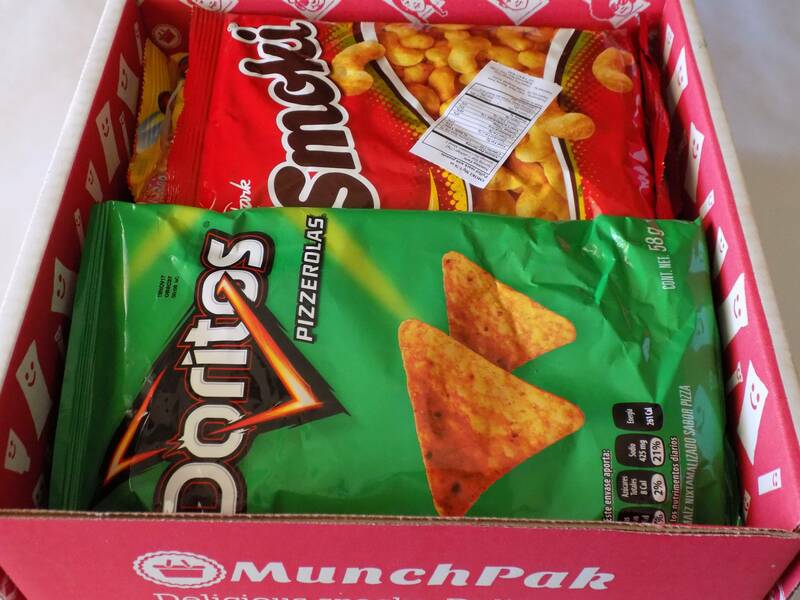 They offer three different sized boxes a 5+ snacks, 10+ snacks and a 20+ snacks, the shipping was quick and everything was packed well nothing came crushed or smashed which is a big bonus. None of the snacks I've tried in this pack so far have been odd tasting or bad, everything has been fairly neutral and tasty which is good because I am not a big fan of spicy or overly sour treats. Oh this is so for me. I always have the munchies and love trying new snacks. I've always wanted to try snack boxes. Wish I could get them free of charge. Lol. That is fun. I would like to try out snacks from other countries. That is weird that they don't give you information on what it is. What if you really like it and want more of it? I think I will check out their website. 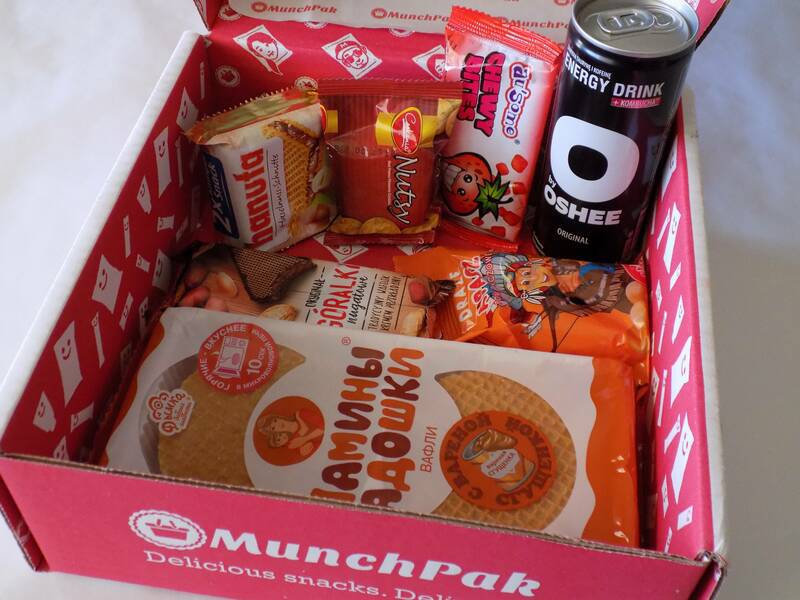 That sounds fun to have a monthly snack box, I think my son would enjoy that. I really love the idea of a snack box with a variety of snacks to try out! Sounds like a sweet box of surprises! This sounds so good my family would love it and its a nice gift to give too.